Have You Checked Disney's Club Penguin Game out Yet? Penguin Madness – What’s it all about Anyway? There's an awful lot of buzz over the birds that look like they're wearing tuxedos, and no, Club Penguin is not a new Disney resort – not exactly anyway. This is an online suite of games that parents subscribe to for their children. Subscription rates run about $6 a month, with discounts offered for those who purchase six-month or one-year contracts for the game. The game promises kids that it will be a lot of fun and parents hear children say they want to play Club Penguin now. At its core, Club Penguin is a secure social networking website for kids. To be honest, I was more than a bit skeptical about the safety (and necessity) of introducing young children to the vacuous Internet world. However, like many of the kids' email websites out there, parents can have as much, or as little, control as they need when it comes to allowing their kids on the site. To say that Club Penguin is simply a social networking site for kids is to grossly underestimate the draw of the game on kids. And here's where parents may feel a little more okay with youngsters hopping on front of the computer. First, in order to even sign up for the free version of the website, parental consent must be given through a response to a confirmation email. Parents should ensure their children are not using their real names on the game – or anything that could give away identity or age. Rude behavior and bad words are not allowed in the game. Kids do interact with other kids on the game through chat and contests, although non-members have fewer opportunities to do this. 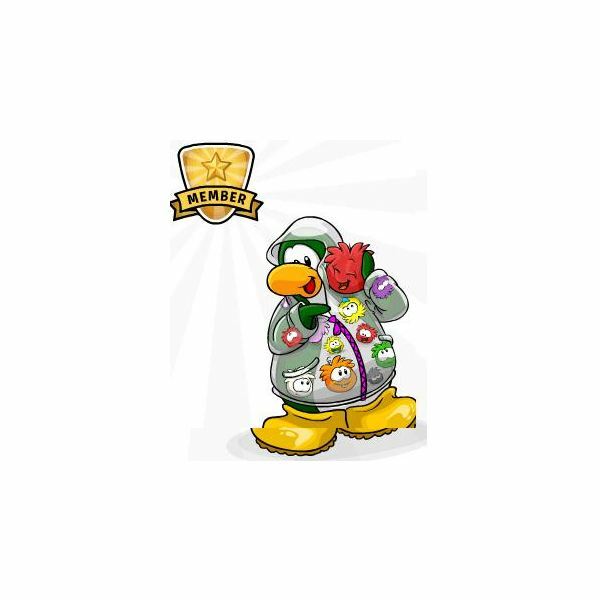 As you win games and score points on the game, you get more coins for your penguin. With these coins, you can purchase items around the Club Penguin game world and decorate. From this perspective, kids not only develop hand-eye coordination and Internet skills, but they also learn how to manage money a little more adeptly. Club Penguin features more than 70 different games within its space. Among these games are "Mancala," "Target Champ," "Launch Pad," "Cart Surfer," "Dance Challenge," and "Ice Hockey." Each of these games can be played solo or with others; however many of the games require a subscription for your child to play against others. The neat thing is that there are enough games on the website to keep your son or daughter entertained for a very long time while he or she plays through the different games and different levels. While games tend to start out painfully easy, they do have multiple levels that challenge even adults (though, I wouldn't advise adults to hop on this site – we've got Facebook, World of Warcraft, and others). The game has a few different secrets players can uncover. Book codes are one of these secrets. Having book codes allows players to unlock special items to use – but again, this is a members only feature. Players find the book codes while reading and then enter them in during game play. This motivates children to step away from the screen and do something else. In addition to book codes that unlock special items, the game allows players to discover secrets on missions that allow them to take advantage of various mystery gifts. By having secrets that kids can find (just as many of the classic games for Nintendo and Sega did), it increases the appeal and lore of Club Penguin as a whole. It also creates a real-world bonding experience between kids when they discuss who found which secret or Club Penguin cheat where. In principal, because this game is delivered on-demand through the Internet, the game will continue to change and develop with the players who enjoy its entertainment purposes. Because of this, you can expect new mini games to be added, new secrets to be developed, and new cheats to be discovered and shared amongst the players. Several walk-throughs are being developed for the game on a mission-by-mission basis that allow the game players to find and share tips. For instance, if you find Rockhopper, a commonly sought-after pirate penguin, then you can unlock certain items. Because Rockhopper moves about, friends can collaborate with one another to find the pirate penguin and help one another out. After a weekend of gaming, on Monday, the proud person who discovered Rockhopper returns to class and shares her accomplishments with friends.